WASHINGTON, DC, March 12, 2012 (ENS) – A U.S. Fish and Wildlife Service proposal to define a five-word phrase in the Endangered Species Act has conservation groups and scientists up in arms. The phrase “significant portion of its range” is not defined in the Endangered Species Act, but appears in the statutory definitions of “endangered species” and “threatened species” in the Act. The phrase is important because it means that a species need not be at risk of extinction everywhere it lives to receive federal protection under the Act. The proposed policy reinterprets this phrase by defining “significant” to mean that loss of the species from that portion of its range would threaten the survival of the species. The agency says the policy would clarify that the FWS and NOAA Fisheries could list a species if it is endangered or threatened in a “significant portion of its range,” even if that species is not endangered or threatened throughout all its range. Under the proposed policy, a portion of the range of any given species would be defined as “significant” if its contribution to the viability of the species is so important that, without that portion, the species would be in danger of extinction. While the agencies say they expect this circumstance to arise infrequently, this policy interpretation will allow ESA protections to help species in trouble before large-scale decline occurs throughout the species’ entire range, the agencies said in a joint statement in December. “A clear and consistent policy will help our partners and improve the process of evaluating species status under the Endangered Species Act,” said Eric Schwaab, NOAA’s assistant administrator for fisheries. But conservationists say the Service’s definition would create a much higher threshold for wildlife to qualify for protection under the Endangered Species Act. In separate letters Friday, 89 conservation groups and 97 scientists expressed opposition to the proposal, warning that it would limit protection for America’s imperiled wildlife by “reinterpreting” the phrase. “This wrong-headed proposal strikes at the very heart of the Endangered Species Act, which was enacted to conserve the ecosystems on which imperiled species depend,” said Patrick Paranteau, a law professor at the Vermont Law School. The conservationists warn that the proposed definition also limits consideration of whether species are endangered in portions of their range to only where they currently exist and not their historic range – effectively pretending species have not already experienced massive losses from which they need to recover. “If this policy had been in place when the Endangered Species Act was passed, the bald eagle would never have been protected in any of the lower 48 states, because there were still a lot of eagles up in Alaska,” said Noah Greenwald, endangered species director at the Center for Biological Diversity, one of the groups that signed the letter. Nearly wiped out in the continental United States by DDT, which thinned the shells of their eggs, in 1967 bald eagles were declared an endangered species south of the 40th parallel, under the law that preceded the Endangered Species Act of 1973. Until 1995, the bald eagle was listed as endangered under the Endangered Species Act in 43 of the 48 lower states, and listed as threatened in Wisconsin, Minnesota, Michigan, Washington and Oregon. In July 1995, the Fish and Wildlife Service upgraded their status to threatened. 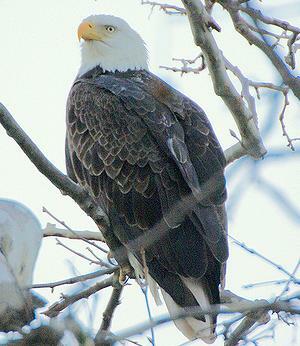 Declaring the species recovered, on June 28, 2007 the Service removed the bald eagle from the Endangered Species List. The proposed policy also has come under criticism from Congressman Ed Markey, a Massachusetts Democrat who serves as the ranking member on the House Natural Resources Committee. In a January 26 letter to the director of the Fish and Wildlife Service, Markey said the policy sets the bar for listing declining species “at much too high a threshold” and that it is inconsistent with Congress’ original intent for the Endangered Species Act. Separately, the Society for Conservation Biology, the primary scientific body concerned with loss of species, submitted extensive comments Friday criticizing the policy. The reasoning of the proposed policy has already been used to deny protection to the cactus ferruginous pygmy owl, even though the rare bird is at risk of being lost in the entirety of the Sonoran Desert of Arizona and Mexico. In draft findings developed prior to the development of the policy, the agency recommended the pygmy owl receive protection, but following development of the proposed policy it reversed course and denied protection to the tiny bird.